Are You Taking Care of Your Shoulder Pain? Discover a New Option. 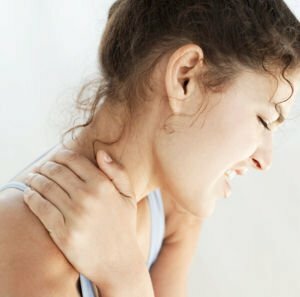 Shoulder aches and pains are common, but because our arms seldom get a rest, these aches often become chronic injuries: knots, spasms, frozen shoulder and rotator cuff tendonitis. These chronic conditions usually happen slowly over time. Many of us learn to live with it and think, “It’s a part of my lifestyle or job”. Many of us have had chronic shoulder tendonitis, making it difficult to lift a carton of milk or wash our hair. And many of us have exhausted a variety of therapies. Most therapies have an affect only on new injuries that are days to weeks old. Once scar tissue forms and healing stops (chronic), we are at the mercy of the injury. I tell them about the tennis elbow and shoulder tendonitis I had, both of which nearly caused me to shut down my practice. I talk about the multitude of therapies I tried to no avail. Then I talk about Shockwave Therapy, the only therapy I found to get rid of my pain and heal my injury. Shockwave, developed to break up kidney stones, can break down scar tissue and stimulate new blood vessel growth, promoting proper muscle function and restarting the healing process. It is in those injuries that have lingered for months or years where shockwave shines. If you have chronic shoulder pain or injuries, don’t give up hope. If I had, I would not be in practice today. According to the Journal of the American Medical Association 2005, shockwave therapy had a 91% success rate for the treatment of calcific Rotator Cuff Tendonitis. Results are often experienced within a couple of visits and the treatment is covered by many insurance companies. Don’t live with your shoulder pain any longer contact us at Glenmore Chiropractic to see if shockwave therapy is best for you.